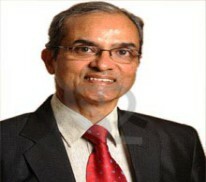 Dr. VD Singh is the chief consultant at the VM Plastic Surgery Center. He is a medical graduate from the prestigious Govt. Medical College and VJ hospital, Amritsar, India and did his post graduation (MS) with honours in general surgery from the same institution under the able guidance of an eminent surgeon, Professor BS Tung, former State Director Research & Medical Education. Dr. VD Singh had his further training in plastic surgery and did super specialization MCh under Professor RS Thind, former president of the Association of Plastic Surgeons of India and amongst the senior teachers in the country. Dr. VD Singh has successfully performed more than eight thousand operations during his surgical career spanning over thirty years.